A few weeks back, Rolling Stone released an interesting interview with Bruce Springsteen, today they released the entire interview that Bruce gave them. This really is an interesting read as it provides insight to how he chooses songs for his records, to how he is always working on new material. He also mentions information about a possible Tracks 2 type of record. Either way, the interview is way too long to post here so I'll provide the link for you. Click here to check it out and you really should now! Bruce describes Devils and Dust as his type of country album. He recorded the acoustic "The Ghost of Tom Joad" while recording songs for Devils and Dust. When asked, Bruce forgot "Harry's Place" was from The Rising sessions and said that he thought of it as the Bush years in the U.S. Very interesting to hear that, Andy Greene (Rolling Stone interviewer) corrected him after. The song "Down in the Hole" was left off The Rising and was beat out by "Empty Sky" to make it on the record. "Frankie Fell in Love" came off of Magic recordings. I would have thought for sure that was from Working on a Dream. 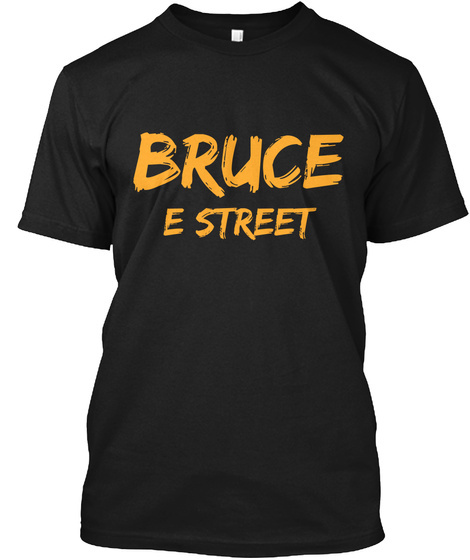 Bruce also calls it one of his favorite "straight-up E Street Band rock songs..."
Bruce has a few "select dates" they were looking at in the United States and titled them as "event shows." We should know more about the tour January 14. Bruce wants to do something similar for The River box set as they did for the Darkness on the Edge of Town box set. "Easy Money" sparked Bruce's mind to start doing the Wrecking Ball album. He is currently working on another new album, that is rumored to be released in the summer by the way, but he stopped that for High Hopes. He also says "it's just sitting there."